I need classname for all weapon and skin in Celle 1.9. Anyone can help ? Thank you. Browse the thread dude, This has been posted already. 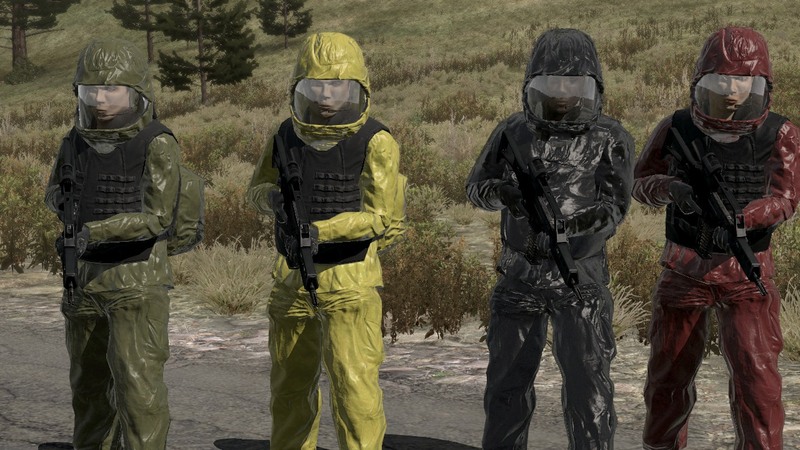 Is there a classname list for skins - eg, the hazmat suit guys ? would those be the stalker units? They're nice, but they are not the ones in Epidemic. I remember there are 3 versions on armaholic of the Hazmat guys, but I have no idea how to get their classnames. Then it would be these guys? To find them for yourself is start Arma2, at the main menu press Control-E and then place a few hazmat units on the map. Save the mission and quit Arma2. open the mission in notepad++ and see what the classnames are. Thanks ShootingBlanks ! Those are the guys !! Sheep, this is Epoch Celle with coins ? When are you planning to release it ? Do you have any server providers interested ? Now you are working on this, does it mean that you have abandoned your Repack v1.5 ?